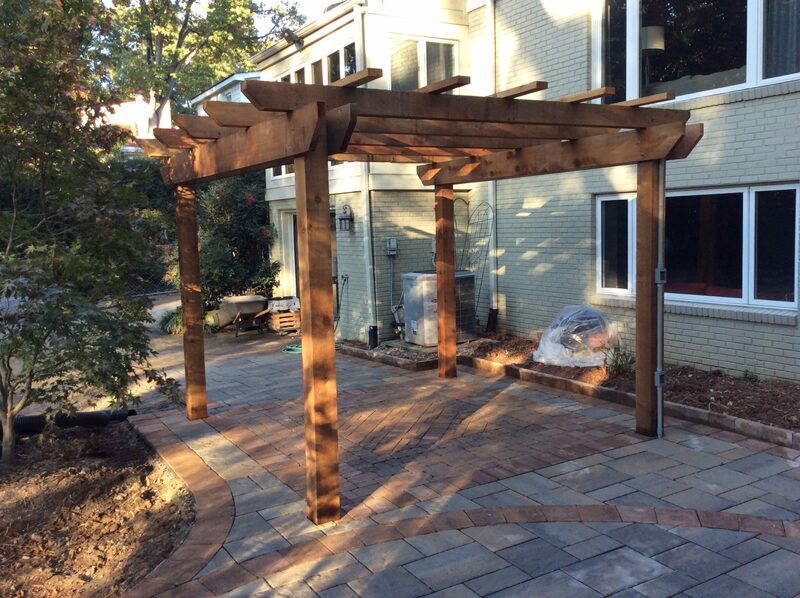 One of the fundamental “building blocks” of good landscape design is the patio. 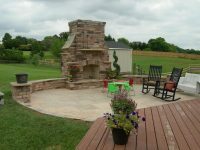 A patio is the living room for your outdoor space and needs to be carefully planned around how you want to use the space. 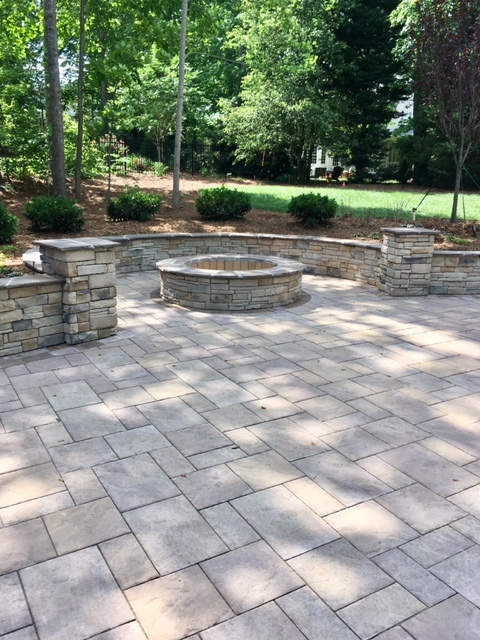 Whether small enough for a grilling area or large enough to accommodate a party of one hundred people, Brookscapes will work with you to provide the space you need. 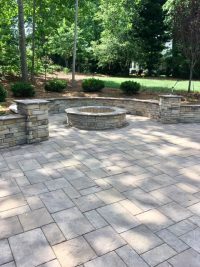 Considering the natural lay of the land, Brookscapes will design and build a patio that blends with the existing conditions to create something truly wonderful. 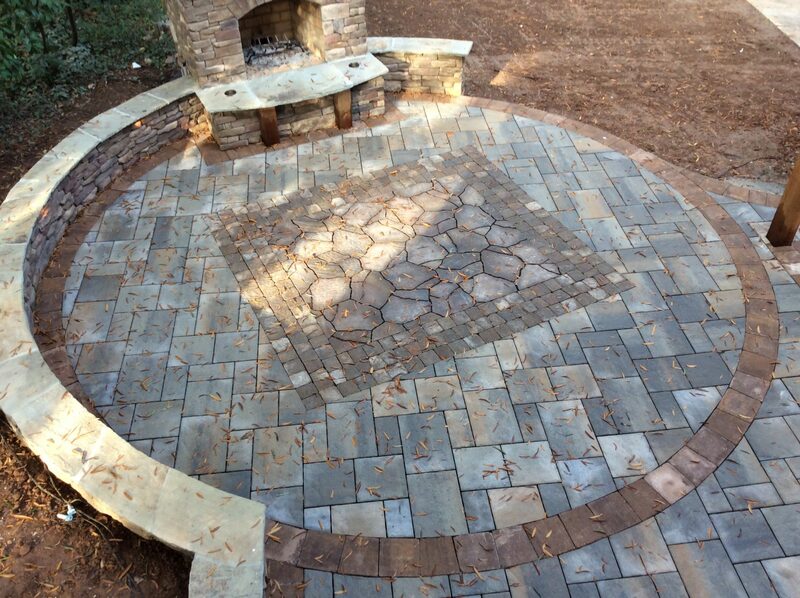 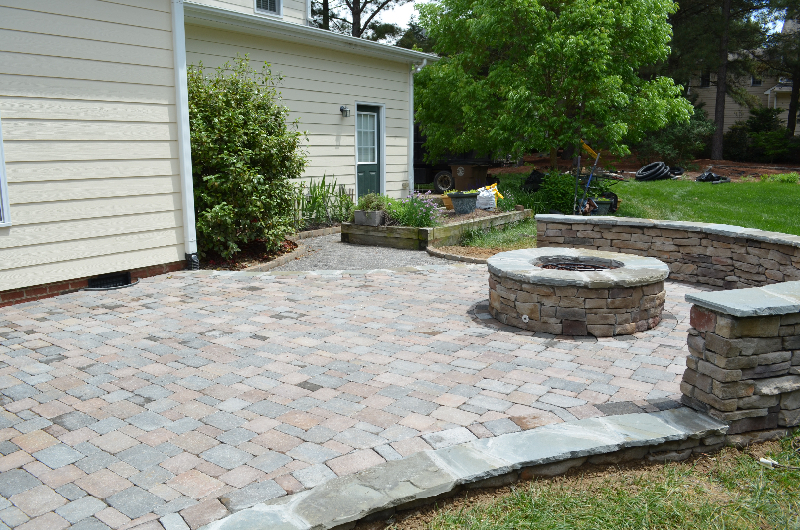 Those in Raleigh, Cary, and Wake Forest can call us at (919) 872-5770 to get started on a custom patio today! 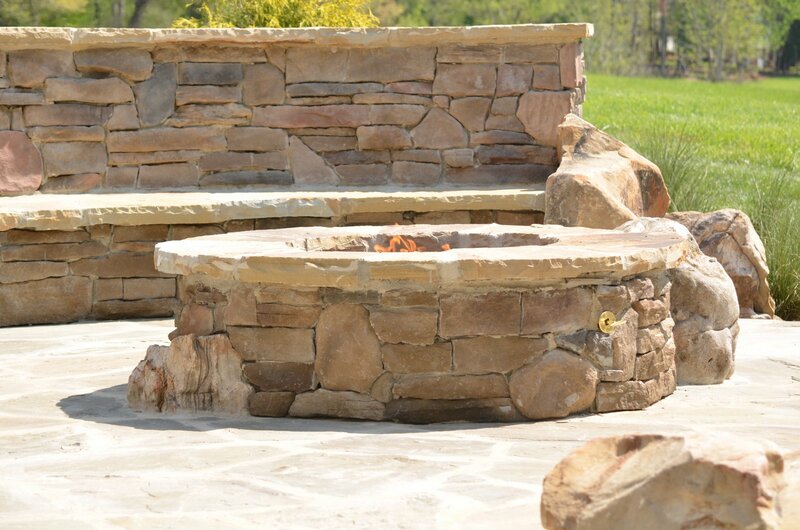 The latest materials and design trends. 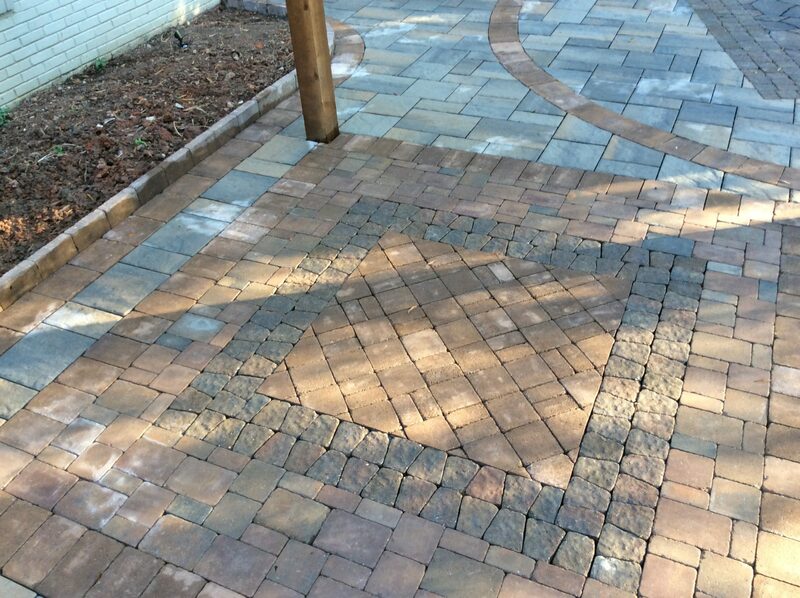 From paver borders of contrasting colors to paver patterns like: herringbone, modular, and asymmetrical, Brookscapes will make your home as traditional or contemporary as you like. 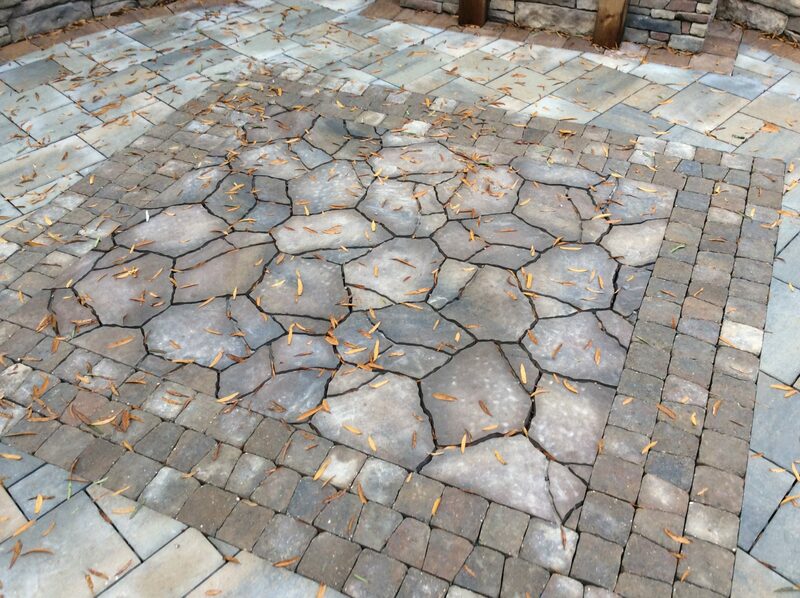 Unique, “statement” pieces. 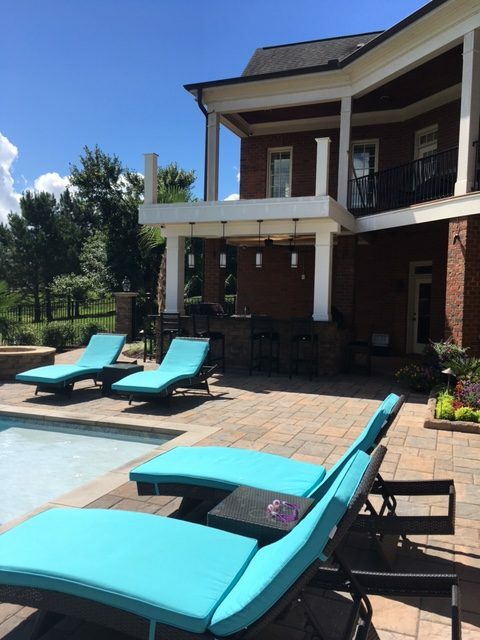 Large, eye-catching planters and patio water features will make your home stand out amongst the crowd. 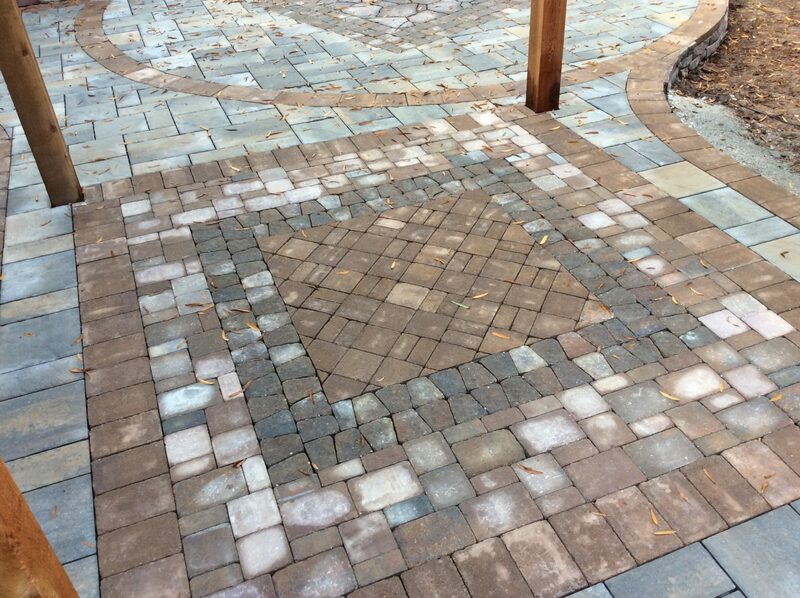 Complementary style. Many people discover that properly-designed paver patios will enhance the style of the rest of the home. 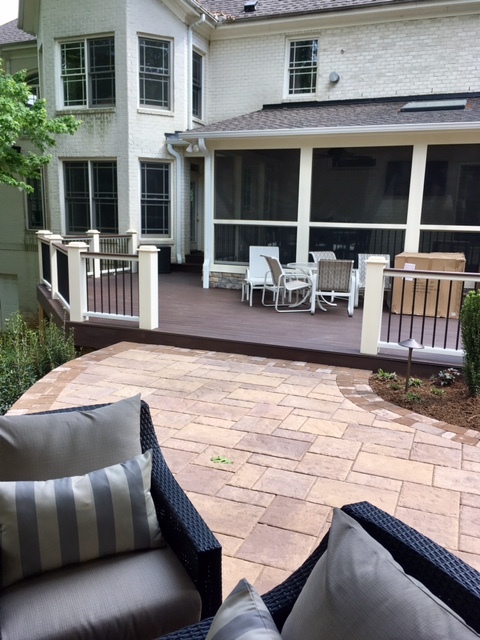 Thoughtful design transforms the entire space. 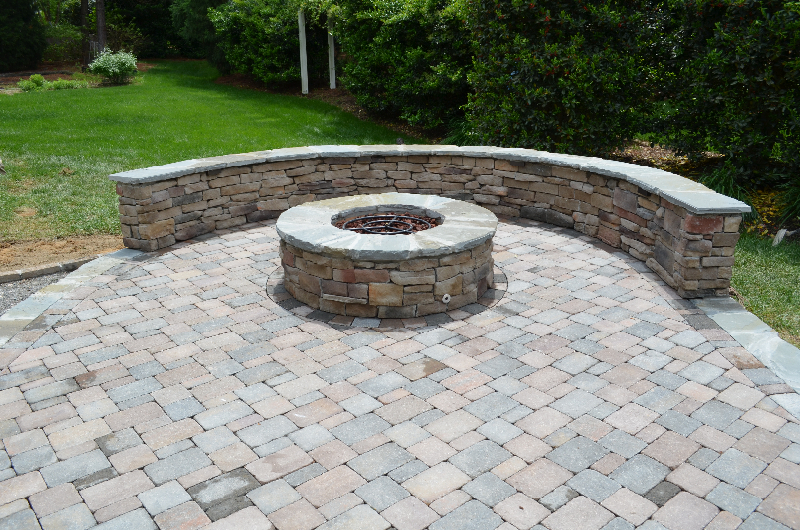 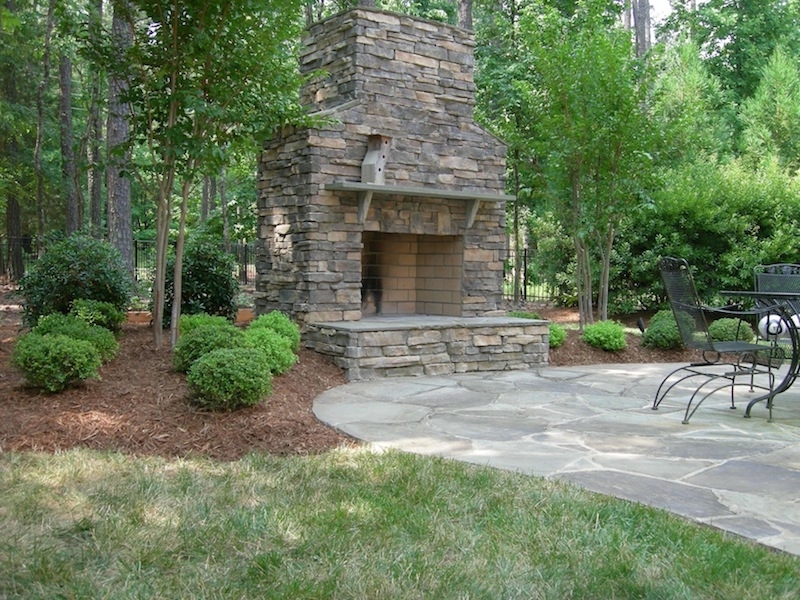 In working with Brookscapes, we hope that your dream outdoor living area becomes a reality. 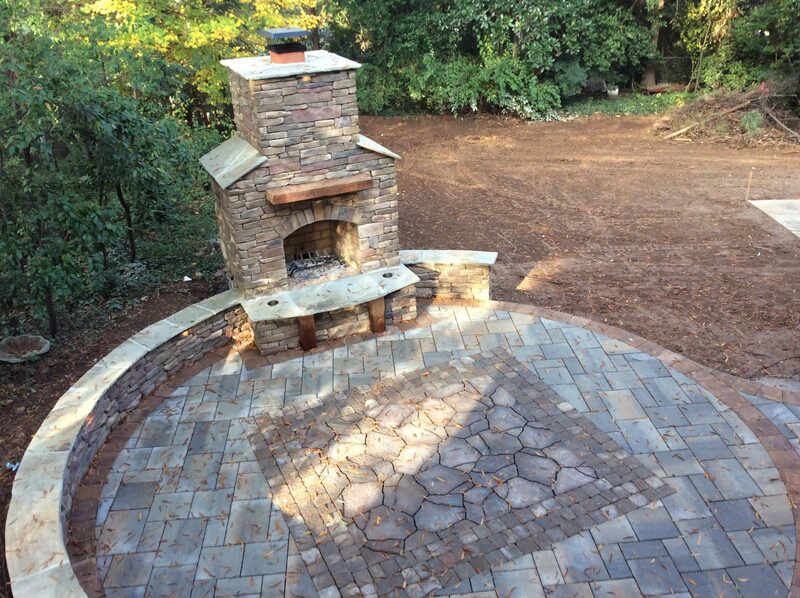 Our team of professionals is creative, experienced, and flexible enough to meet the demands of any homeowner’s vision. No matter the size of the backyard, a Brookscapes patio design will give it a touch of luxury and feeling of comfort. 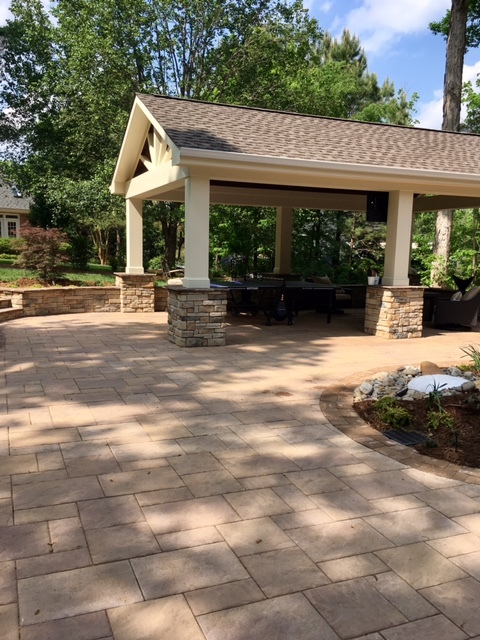 Complete a short contact form or call us in Raleigh to discuss a new patio design today!